This week on Video of the Week, we're bringing you the latest installment of "Kids Try," in which the producers introduce American kids to international cuisines. 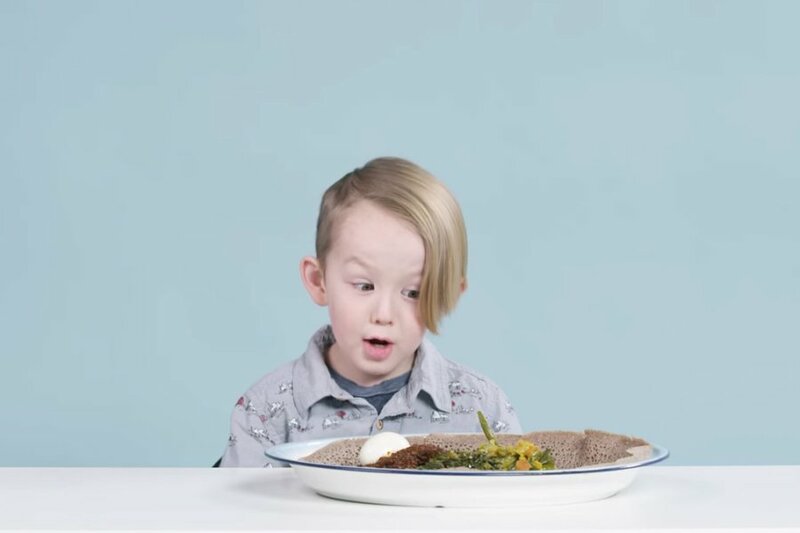 Most recently, the kids tried Ethiopian. Here are the results. You may remember these from when they first started airing two years ago. Yes, they're still making them and, yes, they're still hilarious. Even as adults with more developed palates, haven't we all found ourselves in this position at one point or another?